The ones who make it through alive, win! Today you’ll cross 600 miles of trackless wilderness, and face untold dangers. The ones who make it through alive, win. So begins our Time Travel Field Trip to 1865. It’s unlike any history lecture, textbook or presentation you’ve ever seen. Why? Why did people move west? Choosing trails: do you choose the shorter, more dangerous trail, or the longer, safer one? Crossing rivers: what’s the safest, most cost-effective way across? 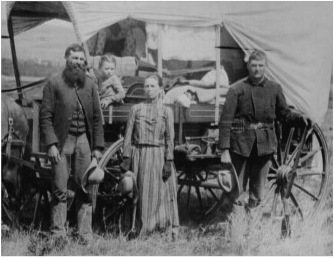 What caused the conflict between local Native Americans and settlers in Colorado during the 1860’s?